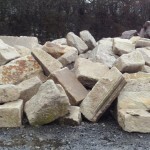 We have a modest stock of reclaimed stone features, often recovered from demolitions. As such, many of these items are highly unique and stock is limited. Below is a selection of our current items. If you would like more information, contact us using the form and quote the item number in the description. 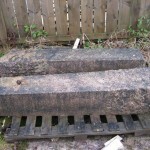 REF 002 - Solid granite bollards. Approx 1500mm high with a roughened 480mm base for building. 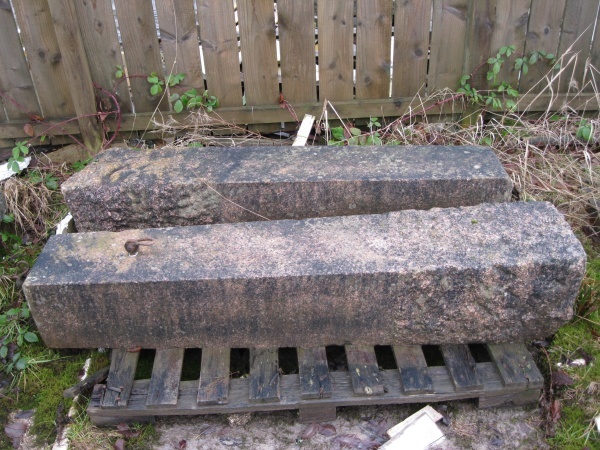 These pink granite bollards have a slight taper and a pointed top. 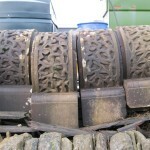 They are weathered in and in good condition. 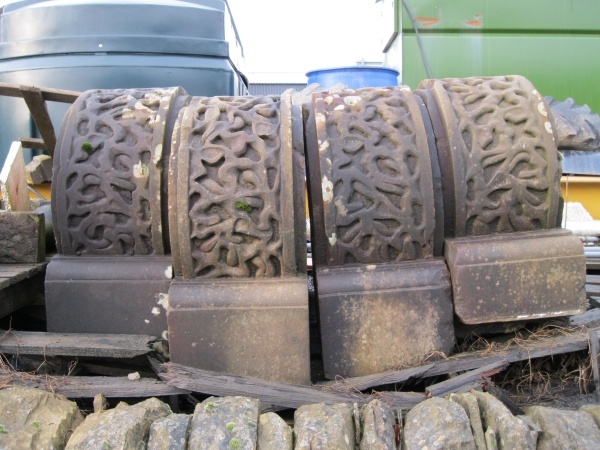 £250.00 + vat each. 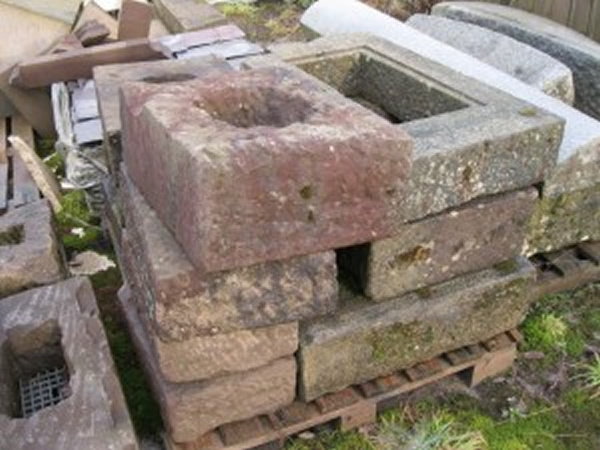 REF 008 - 4no very large moulded column sections with a vermiculated finish. 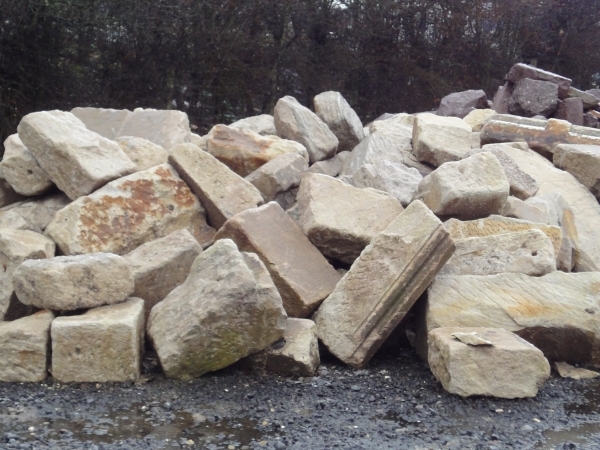 £250.00 + vat each. 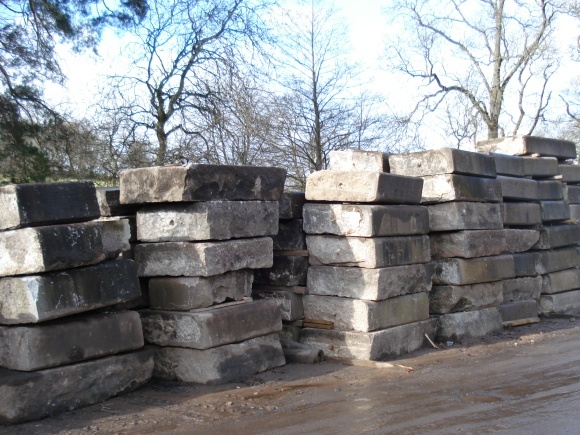 REF 009 - Sandstone blocks with a recessed vent. 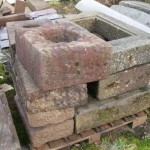 Sizes vary and many of the stones still have the vent grating in place. 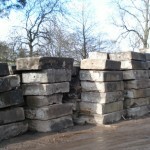 £50.00 + vat each. 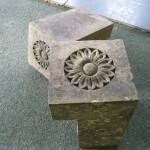 REF 011 - Hand made limestone trough, ideal garden feature. 1000 X 400 X 400. £350.00 + vat. 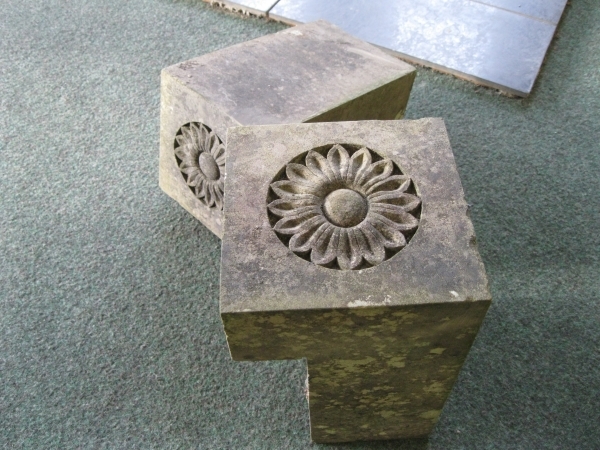 REF 013 - Two carved quoins/feature stones with a flower motif. Hand carved in a dark buff sandstone.